Ok, I've had this camera for a week-plus, so what have I learned? After about 200+ images in that time? Well, I'm still sometimes a bad photographer, just cheaper now because I can use the delete button to remove mistakes later. But there is so much to learn to be profficient and good with the camera, it's about spending tiime playing and learning. And that's where it's fun using the camera. With 700-800 images per flash card, you can shoot a lot and not really worry. My original goal was to have it to replicate my film-based work, but I also knew it could easily do far more than I will ever imagine doing with the camera. Is this wise to buy a camera with tons more features than you'll ever use? Sure. If you look at the professionals and photojournalists, they rarely use more than a few features of their highend Nikon or Canon film or digital cameras. Simplicity is a basic need, after which you want durability and reliability, versatility is a plus but not essential. As I use it I expect to use its versatility for situations, mostly light conditions. I really want to use it in black and white mode in learning large format photography. I can make comparison with the 4x5 film characteristics and lighting. It is my personal photography philosophy that a black and white photographer is one who shoots the original, film or digital, in black and white. It changes your perspective and eye in the field. Simply changing color to black and white isn't real, in my view, just a black and white image. What about auto-focus? Well, I initially turned it off on the lenses and didn't set it the camera. Recently I set the AF function in the camera using the center point. I'm not sure I'll use it for more than that until I get used to what I shoot with it. I'm still a manual focus photographer, which surprisingly many other photographers are. Just watch them and you'll see them adjust both the zoom (yes, almost all use 2 zoom lenses, often a 23/35mm to 70/105mm and a 80mm to 200mm), and the focus. Because they compose for a variety of scenes, AF often is harder to use. Two other nice features. I really like over my Minolta system are the different shooting mode, but I mostly use aperture-priority or manual mode. I don't really plan auto mode, I think you're better off bracketing. The other one is metering where you can select between four different modes. It gives you versatility and something to learn with in your images. The lenses? First impression? I got in over my head a little. They're larger being AF than Minolta's smaller manual focus lenses. The 85mm f1.2 II is the latest and the only one they had. A bit much, but you never know when it will help. I like the 180mm f3.5 macro lens for its dual use. 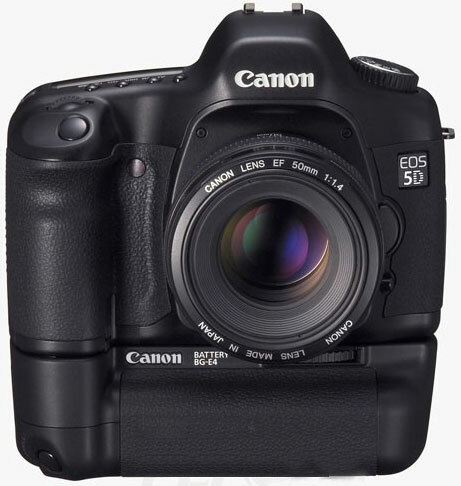 My only suggestion to Canon is produce a normal 40-45mm lens, something between 35mm and 50mm. Why they made a tilt-shift version but not a regular version is beyond me, but they did the same for their 90mm tilt-shift lens. Summary? What's not to like about it? It's about just shooting and enjoying.